Home brewing is a great hobby. I may go out on a limb and give my completely biased opinion and call it the best hobby in the world. 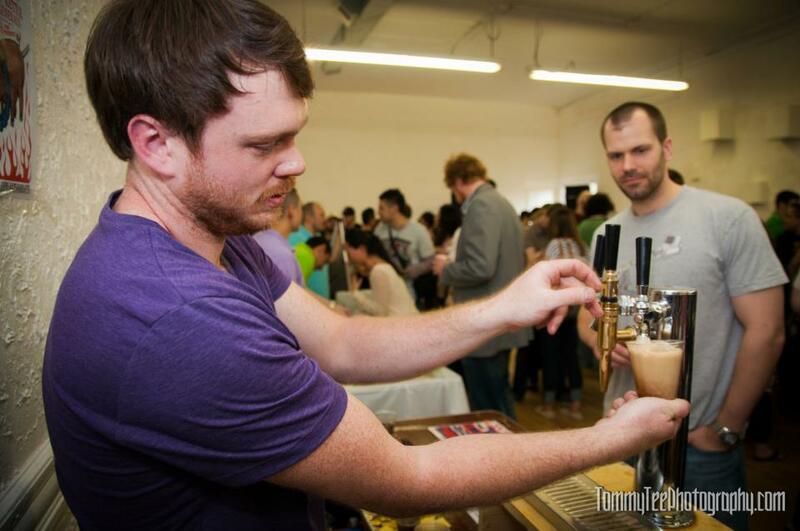 And as the craft beer boom is, well, booming in Chicago, so is the hobby of homebrewing. You see it with the expansion of Brew and Grow, the establishment of Brew Camp, and the organization of new homebrew clubs. Chef Won Kim has contributed to this crusade by coordinating a series of unique celebrations of homebrewers and their craft. It all started with the Brew Ha Ha last July and has grown exponentially into the sold-out-weeks-in-advance juggernaut that it is today. The most recent incarnation was called Brew Springsteen (get it?) and was held in the Variable Space in Wicker Park on Saturday, April 7th. One of the very first beers my husband and I brewed was a single-hopped Simcoe pale ale that we lovingly called High Priest Vatican Assassin Warlock (Charlie Sheen was at the height of his antics/mental breakdown when we brewed it). We were still doing extract brews back then but the beer turned out to be really tasty and it forged our love of the Simcoe hop. For those that don’t know, Simcoe typically contributes a citrusy, piney flavor and aroma to a beer. It has a high alpha acid content and, thus, is frequently used as a bittering hop, although it can be used for aroma, as well. Showcasing a single hop varietal in a beer is an excellent way to learn about the flavors and aromas that hop will impart in your beer and, since this is an ongoing learning process, we thought it would be an educational experiment for us. Fast forward a year when we were trying to decide on what to brew for Brew Springsteen, and both the hubby and I independently came up with the idea for an imperial version of our single-hopped pale ale. And how can you go wrong with a brew called Imperial Assassin??? This would be a little trickier now that we are doing all grain; it’s a lot easier to get a higher alcohol beer with extract! But we worked out the grain bill and the amount of hops it needed and we were ready to go. I’m not going to lie, I am pretty proud of this beer. We got the alcohol by volume (ABV) up to 9% alcohol and while the flavor profile was not what I expected (it was a lot fruitier/citrusy rather than piney) it was pretty tasty, if I do say so myself. And it was pretty popular at Brew Springsteen! We kicked the keg about halfway through the event! I'm getting my pour on at Brew Springsteen! It was a much different experience being on the set-up/pouring/take-down side rather than the attendee/beer blogger side. 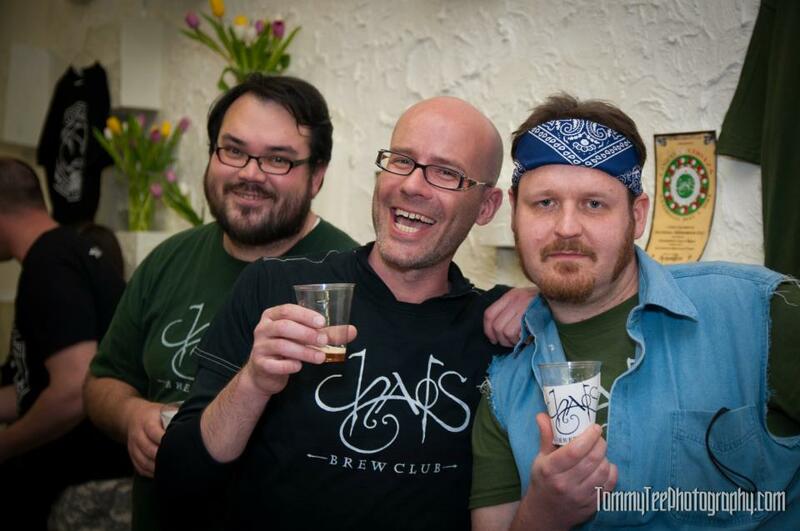 But the camaraderie among the brewers was infectious. 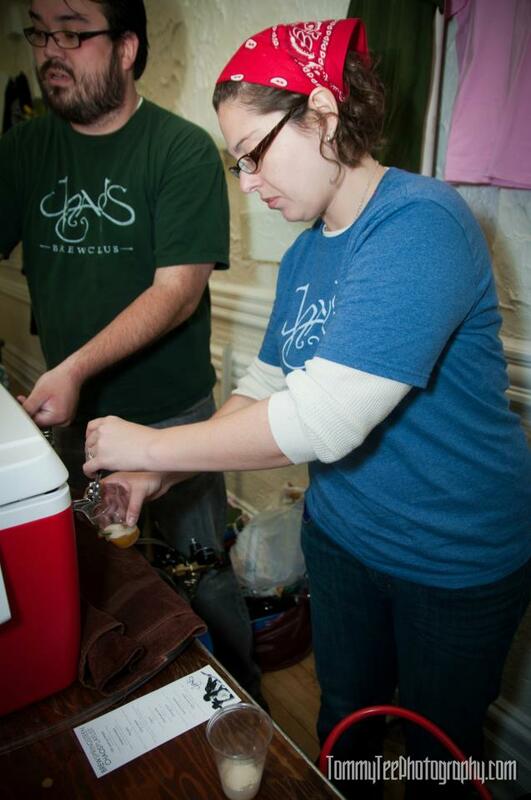 For those that arrived a little late, the brewers who were already set up helped them out. And before the doors opened, brewers would go around offering their beers to the other brewers. It was an awesome experience to be able to be a participant at this event. One of the biggest disappointments was that I wasn’t able to try everyone’s beers! I didn’t get to try any Corazon (although they gifted me a bottle to take home), Powell, Brutally Honest, or Bent Grid. And I only got one or two tastes from Soma Ale Werks and Big Dicks. One of the standouts of the day was iSH Ales who brought a sour ale aged in a Chardonnay barrel. This beer was delicious; slightly tart and tangy but not aggressively sour. It was a gem of a beer and I can’t wait to taste more beers from this crew. And it was a great gesture when a member of the iSH crew brought a pitcher of beer to the bathroom line! After the event I was exhausted. My feet hurt, I was hungry and cranky and all I wanted to do was go to bed. Would I participate in this kind of event again? You bet! It was totally worth it. I love the beer community, and especially the grassroots, for-the-love-of-the-beer ethic these types of events promote. A HUGE thank you to David Williams, Steven Lane, and Christopher Murphy to helped out with set-up, take-down, and pouring at the CHAOS table. Now, what kind of cutesy name will Chef Won Kim come up with next? Not bad, I’ll pass that one along! Well, I am not from England so I do not know how offensive that word would be to a local; I don’t have a problem with it. I don’t understand the marketing decision to attack the type of glassware a competing beer uses. That just seems lame. And also shows the difference between craft beer and bigger beer. Craft beer doesn’t push another brewery down in order to become more powerful. Interesting article, thanks for sharing!